Recently I have been very attracted to the Cardinal Totem, especially since I have a male and female couple that have taken up residence nearby and come to visit me every day. Watching the tender care they give one another , and the special balance they exhibit between being assertive and being passive have given me many contemplative mornings. Their beautiful red color represents vitality, strength, and standing in one's own power. They remind us not to be afraid to be ourselves, and when we're feeling spent and burned out, there is always tomorrow to try again. They are definitely a "follow your passion" totem. 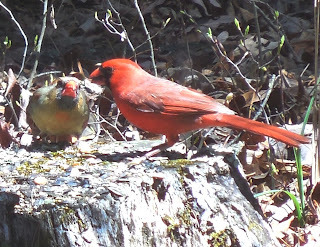 We live in a woodland area where there is an abundance of birds, but I have become very attuned to the cardinal voice. The female is just as vocal as the male, which is not usual among most birds. It calls to us as women to speak our truth, and to do so with grace. The cardinal is a beautiful totem to work with, teaching us balance between Passion and Responsibility, between Assertiveness and Grace, and to never give up. 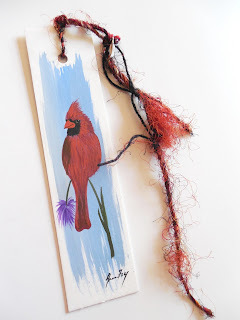 This morning while painting, I decided to create a Cardinal Totem on a few bookmarks. 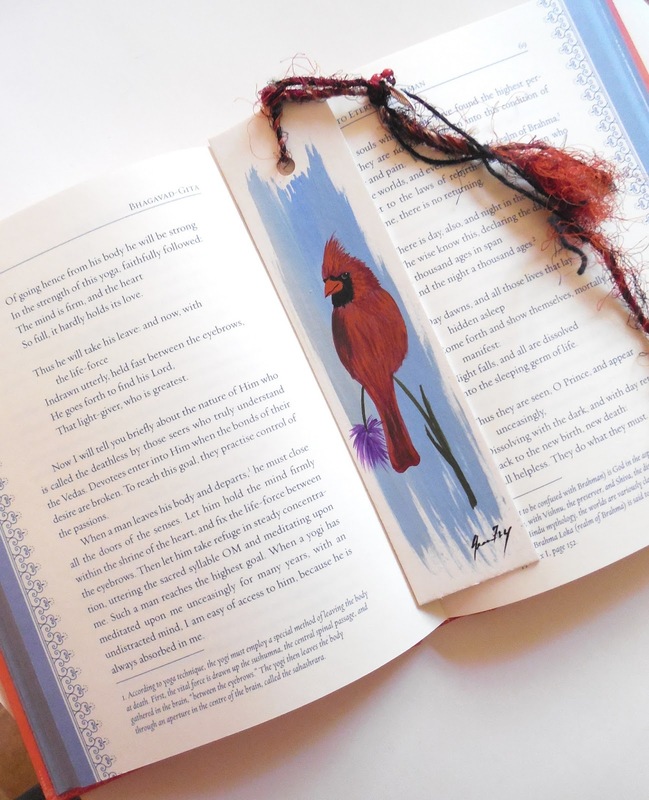 The Cardinal Bookmark has been sold. 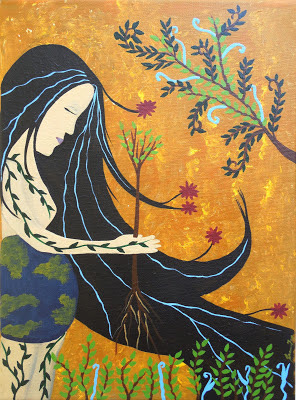 I continually marvel at (and am grateful for) the ability of Mother Earth to adapt. We two-legged ones have not been very kind to her over the last several years. We have put undue stresses on her and been disrespectful to this place that we call home. She will occasionally tantrum, and yet she still reaches into her heart and finds away to work around our chaos. She leaves answers for us in all of her work. When something is poisonous, she will have a remedy nearby. 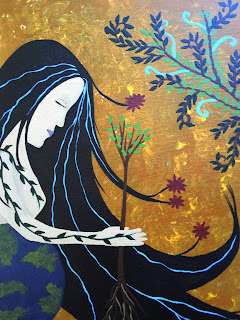 When something has been destroyed, she will heal it and bring new life. I many times worry that she is taken for granted, and that someday her "fixes" may not be available. "The Regeneration of Mother Earth"
Late on a Friday evening, while burning some Frangipani incense and drinking my usual Earl Grey tea, I took to the canvas with a different kind of inspiration. 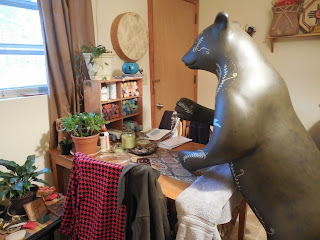 My senses were in a heightened state for the room was filled with the scent of cut roses, bundles of spearmint drying in the kitchen, and the rich soil on my garden gloves lying on the end table near the door. Blending that with the Frangipani and my tea, I realized I had an impromptu aromatherapy session going on. The creative inspiration that came forth was bringing visions of fiery reds, oranges, and yellows into my mind. 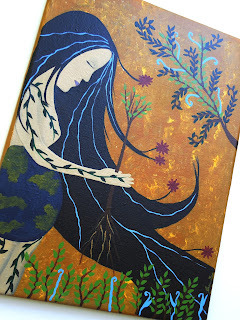 Rich and Warm, vibrant and bold, the colors swirled in my belly. Immediately my mind wandered now to thoughts of an African landscape, the sun, and an elephant. 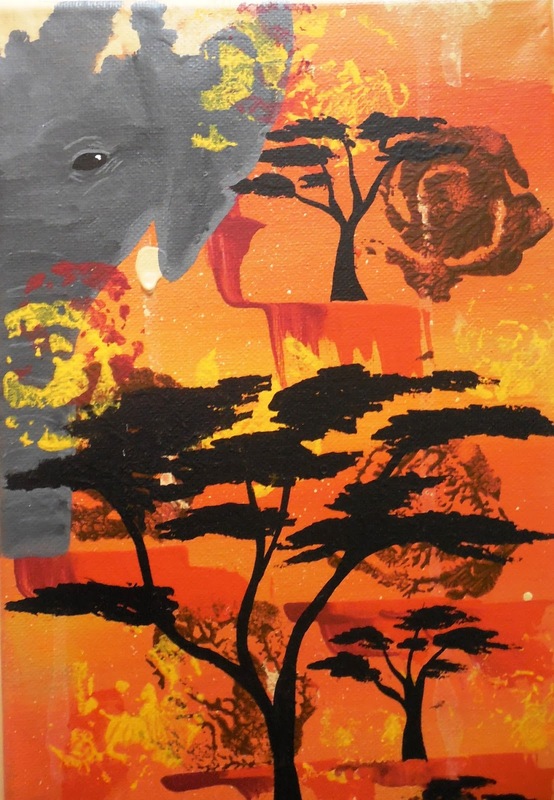 I knew that I had to paint the elephant. The elephant generally has poor eyesight and relies more on his sense of smell to guide him. How ironic that my sense of smell this evening led me to him. I wanted the painting to reflect more of what the elephant totem could smell and feel, with the actual visuals being a little more subtle. I wanted the richness of his surroundings to be dominant, with the color scheme making you immediately associate him in his own environment. Learning more about the elephant totems symbolism gave me a much better understanding of his character, and a desire to carry some of its wisdom with me. 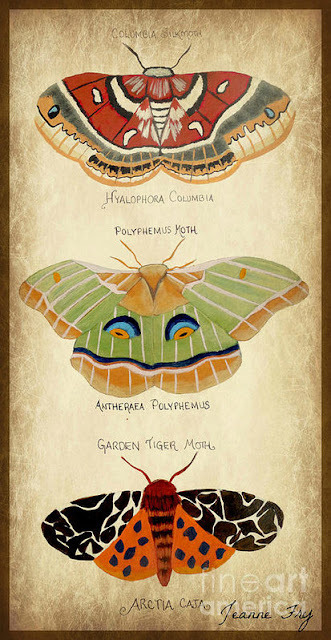 Their size and strength is immediately apparent, but their softer compassionate side is often not thought of. They are deeply compassionate, tending to sick and injured ones as well as caring for those that are passing over. They carry great balance within themselves, bold and strong, gentle and loving. A wisdom we all need to carry with us. The other trait that I found of importance was the fact that the females will travel in packs. Their packs are comprised of all ages and led my an older wise one, all learning and caring for one another. It reminded me of that same special bond we can find in healthy women's circles and how completing that can be for a woman's spirit. 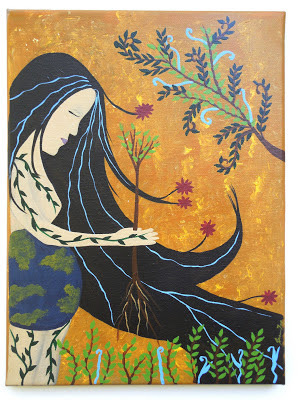 My hope with this painting was to be able to stimulate the viewers senses, beyond the visual and the obvious. I was honored to be asked again by Mike Kai of Morris Broadband to collaborate and create a Bear for this year's Downtown Bearfootin' Bear Project. 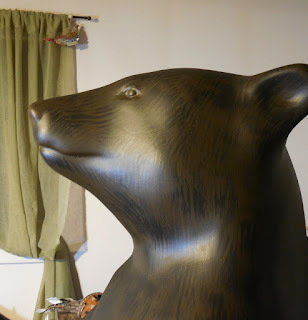 Having worked with them last year on the "Together We Can" bear, I was excited to be given another opportunity to create a bear to support a new charity and the downtown. 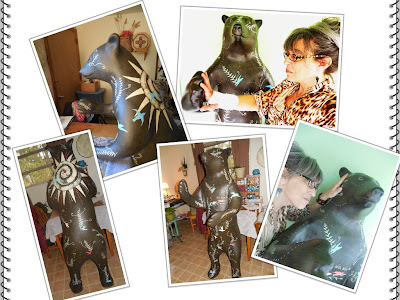 Each bear is a collaboration between a sponsor, a charity, and an artist. Upon completion they are placed on display throughout Downtown Hendersonville from May through October, and are then put up for auction with the proceeds benefiting the chosen charity. Last year's bear was a Mother Bear and Cub in a sitting position, while this year's was a full standing Bear. I knew that the height factor and size would be a challenge for me due to my health issues of Lupus SLE and Spondylolisthesis in my spine, but my love of Art and the Bears and Supporting Charities urged me to go forward. Once brought back to my studio it began with a light sanding process to even out its texture and prep for its artful journey. 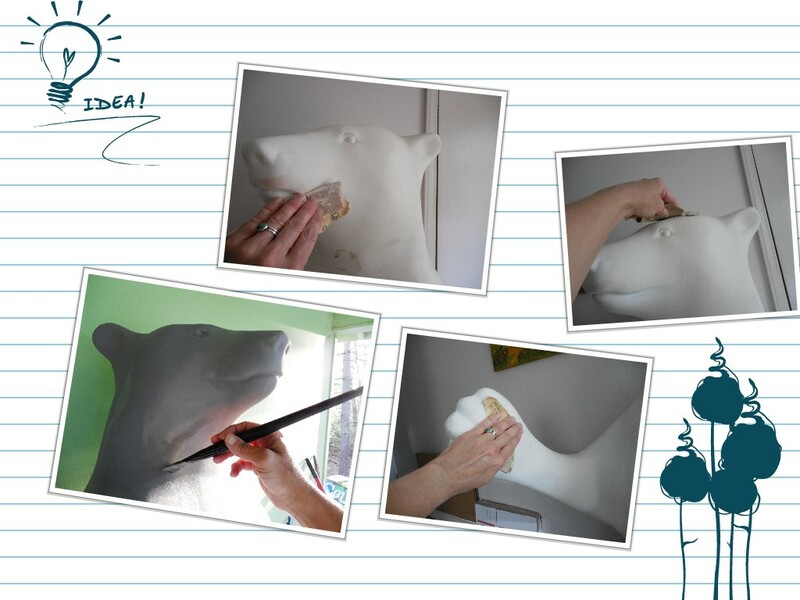 Slowly working through the sanding process was much like a meditation, giving me time to contemplate on the theme of the bear and his design. This year's charity is "Thrive". Their mission is to provide support and opportunities to adults with mental health needs offering community, hope and recovery. Their goal is to help those they serve move from surviving to thriving. During this quiet process the design had come forward in my mind. The logo of "Thrive" is a sage green leaf branch. 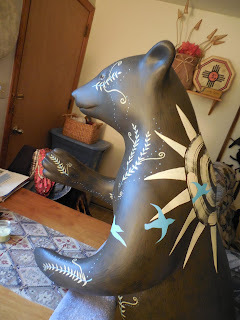 I was inspired to incorporate the branch throughout the bear's design, embellishing it further with birds. My artistic take on their mission of moving from surviving to thriving, would now have birds flying with the branches in their mouths. Along his chest would be a long branch that would symbolically show this process, with a bird beginning in the sitting position...to standing...to getting ready to launch in flight...and then taking off...moving toward a spiral sun that represents its aspirations. 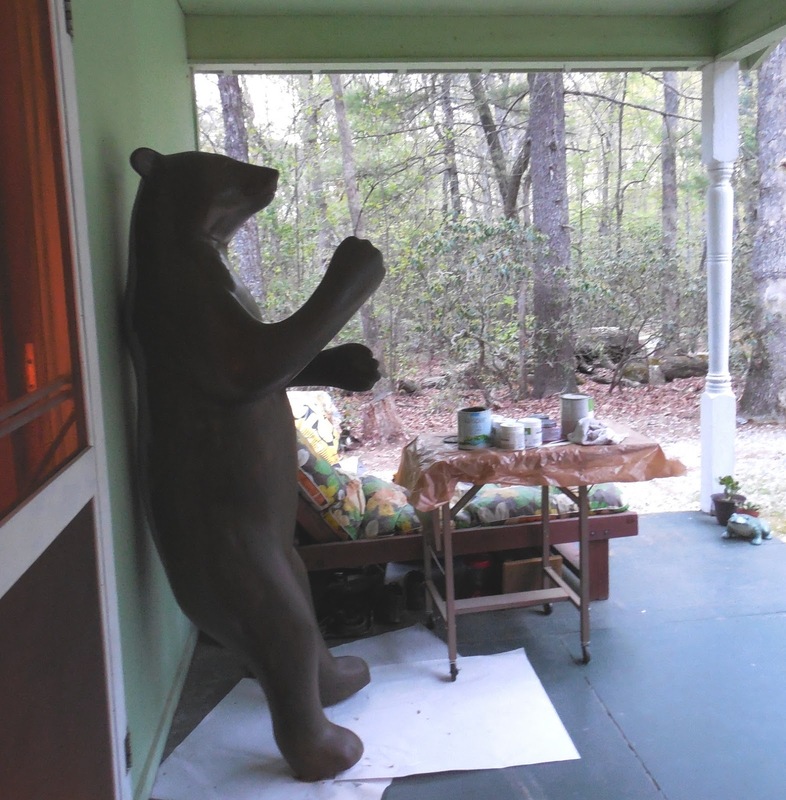 Priming the bear with grey matte prepped my "canvas" for the painting. I used paynes grey, burnt umber, and black to give life to the bear's coat. Using a fan brush, I slowly navigated through giving him texture in his fur. Once sanded, primed and the base coat of the bear is done, the exciting part of the design finally arrives. Carefully working around his entire body to accomplish the vision, you find new ways to get to all of the areas. This Bear is taller than me, and so each area had to be worked from a different angle. It was challenging and rewarding at the same time. I can't truly tell you the length of time it took to complete the Bear, because once in this creative mode....time blends..there are no start and stop times...it becomes Bear Time. Layers of paint, dry time, paint splattered on clothes, continually moving him to complete your vision, and stepping back to contemplate the process....these things become so much more than doing a painting. It's as if you are creating an entity in itself. And so becomes "With Wings to Fly", our Bear for the 2013 Bearfootin' Bear Public Art Project. Front View of "With Wings to Fly"
Back View of "With Wings to Fly"
For those of you that are familiar with my work, you know that most of it revolves around Nature, Animal Totems, and Empowerment...so this project no matter how challenging, is nourishment to my soul. I'm grateful for the opportunity to be involved and hope that it brings a smile to someone's face and that it's message touches someone's heart. "With Wings to Fly" will be on display in Downtown Hendersonville ( I believe in front of Flight Restaurant) for viewing. 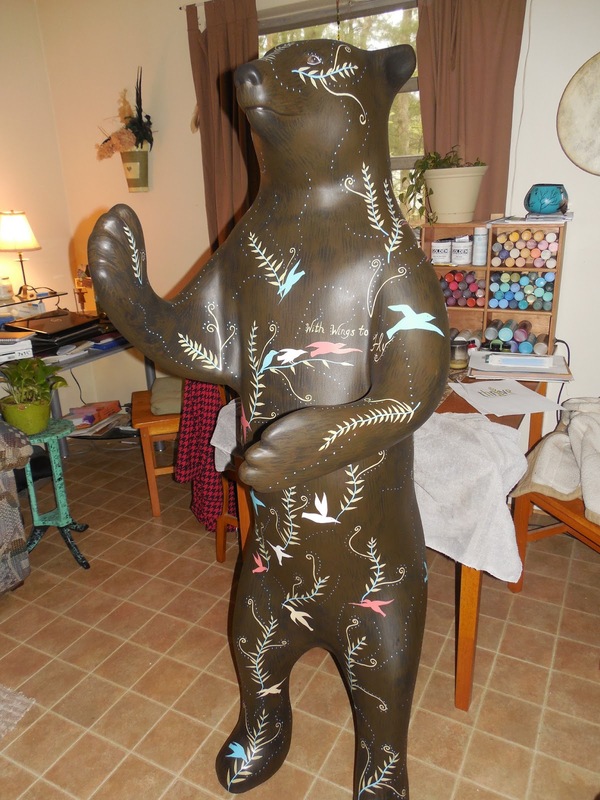 His auction will be on October 19th, 2013, when he will be adopted by a loving person. 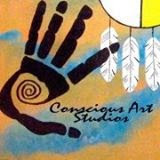 Thank you to Mike Kai and Morris Broadband for supporting artists and the community. Goodbye Old Bear....I will miss our time together.